Now, I’m not saying that I’m obsessed with trash, but …I’m too obsessed with trash. 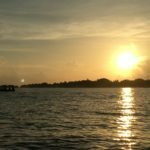 Trust me, I’m not fun to go out with – the last bar I went to I spent 20 minutes talking to the bar staff about how they separate their waste and if there are any government incentives for recycling pick up…However! This has led to some very valuable weekends hanging around MRFs (Materials Recovery Facility) and finding out how they work. I’m excited to share the exciting process with you here! My experience is based on two MRFs, one in London (Bromley-by-Bow) and another in near to Geneva, Switzerland (Ecublens). 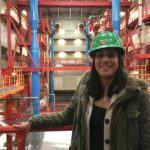 How is a MRF different from an energy recovery facility like Tridel that I visited last year? 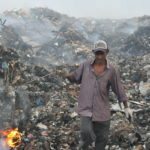 The key is what is the objective of the waste in the end – either recovery for reuse (recycling) or recovery for energy (incineration). The MRF will receive lots of materials and use high-tech machinery as well as manual labour to separate the different types of materials. Materials are delivered by trucks and tipped onto the floor of the MRF. There is an initial visual inspection done for contamination. The client (either private companies or municipalities) are contacted and charged on levels of contamination by different types of waste, for example, food waste or electronic equipment. 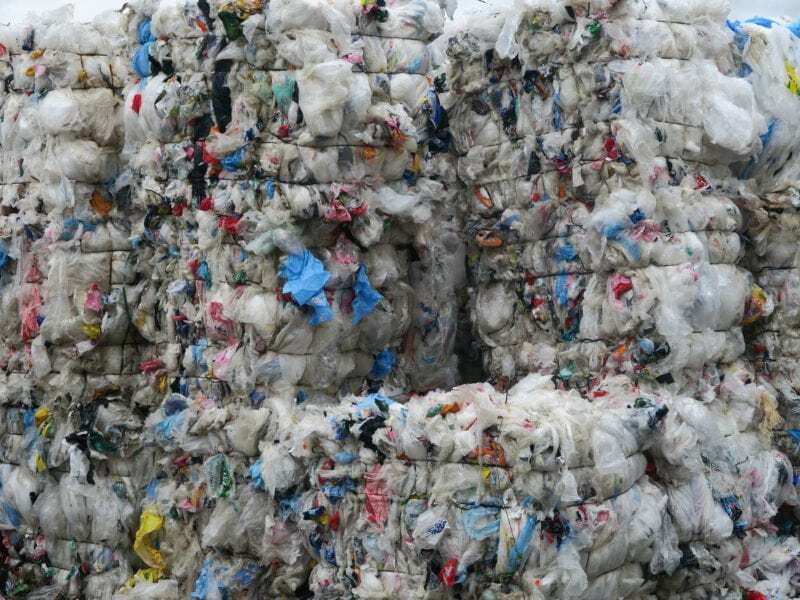 Apparently a big problem is textiles going into general waste instead of textile recycling (so make sure this is getting to the right place!). 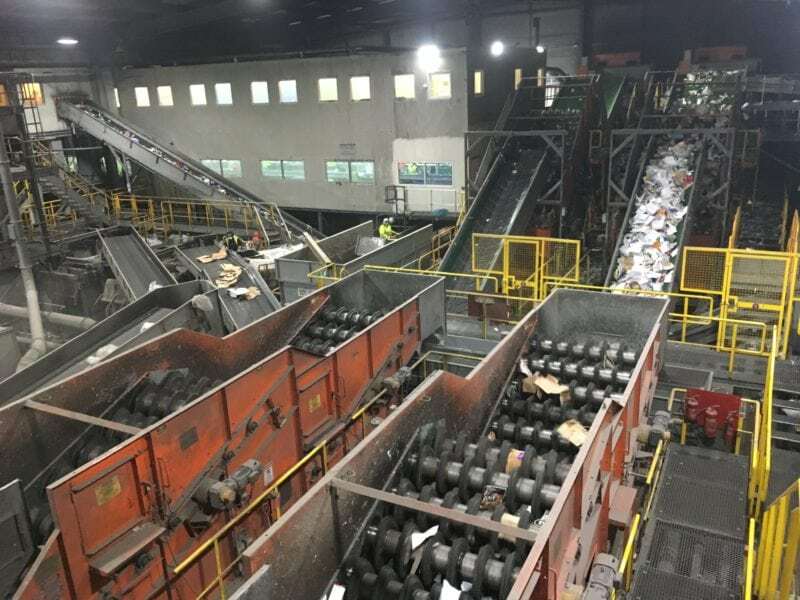 The sorting at the MRF in London. Conveyers and large rotating screws are used to separate materials after they have been manually checked for hazards. Manual labour is used to pick out anything dangerous, for example hazardous waste or waste that needs to be incinerated (workers will wear anti-stab gloves). 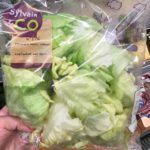 They always begin the sorting process by pulling out clingfilm and plastic bags, because these can damage the machine. The waste is then separated by weight, dimension, and then optically by polymer type. Plastic bags removed from general waste and ready to be incinerated. These big screws below will rotate to separate cardboard and paper to start (as they are the most lightweight items), and then the rest will keep going upward through conveyors to be separated by gravity and shape. Iron, steel and aluminium items are picked out by a magnet. As mentioned above, an infrared optical separator is used to separate different polymer types (this means the different numbers on the bottom of your plastic). By the way, those little three arrows are highly misleading. The symbol does not say anything about recyclability, it just tells you about the type of plastic it is. 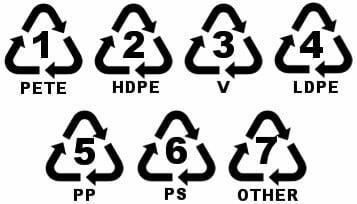 These numbers denote the different types of plastic, but do not necessarily indicate that they are recyclable. 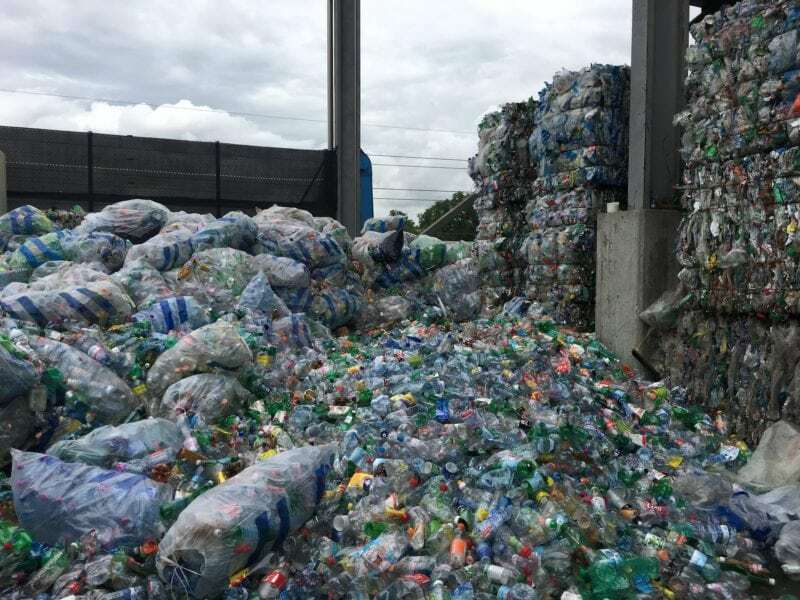 This process of infrared sorting is why black plastic is unrecyclable: the infrared technology cannot recognise it because it blends in with the colour of the conveyor belt, so it is almost as if it is not there. This is a huge problem, because so many food companies will choose black plastic as it makes the food “pop” against the colour. 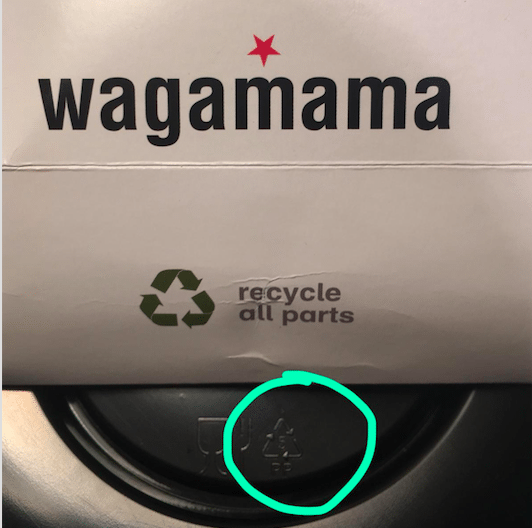 So for example, when I recently got a takeaway offered to me after doing a presentation at the food delivery company Deliveroo, this box from Wagamama came with this label “recycle all parts”…in a black container…made of polypropylene plastic #5 that is not commercially recyclable in the UK. Hmm. This either demonstrates some masterful deceit or a genuine misunderstanding of what recyclability means (I choose to believe the latter). Wagamama container with misleading container indicating recyclability. 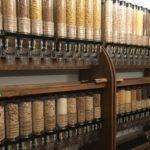 Different MRFs have different sorting techniques and capacity. 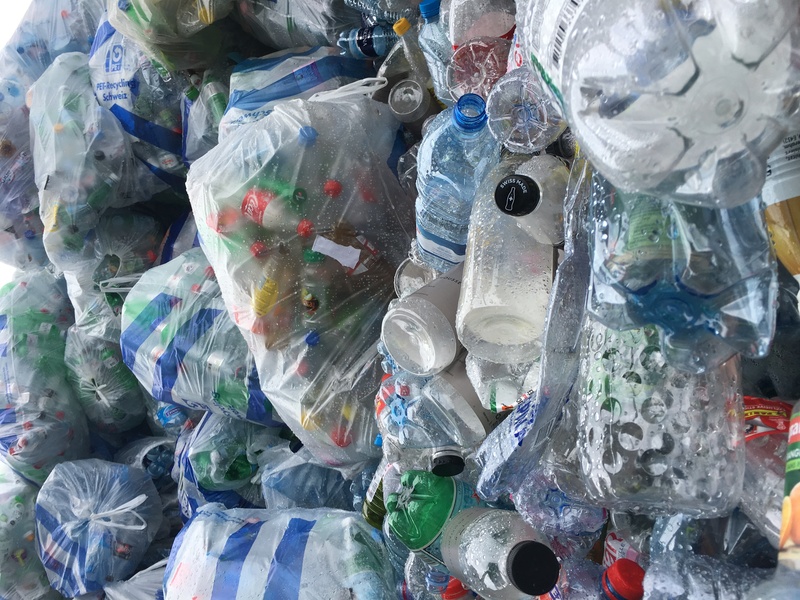 In the one in Switzerland, the recycling separation rates in the general public are quite high, so they tip everything out onto the floor and have a worker visually sort through the plastic for any non-recyclable types. This was the pile for the PET (#1) on one morning arrival (with compressed towers in the background). Morning of arrivals for PET in a small catchment area near Lausanne, Switzerland.